Los Angeles – The City of Los Angeles Department of Cultural Affairs (DCA) is pleased to announce the 2017/18 City of Los Angeles (C.O.L.A.) Individual Artist Fellowship recipients. These Fellows will produce a new body of work with grants of $10,000 each and their new works will be premiered by the City of Los Angeles in the Spring of 2018. The C.O.L.A. 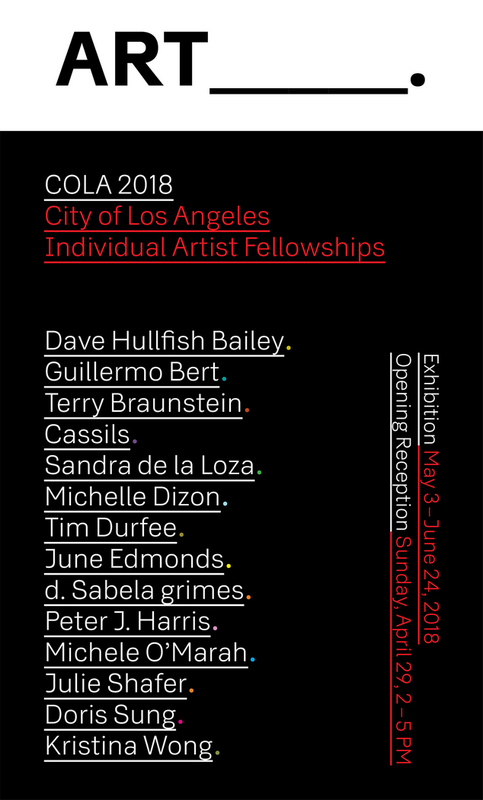 visual arts exhibition will take place at DCA’s Los Angeles Municipal Art Gallery located at 4800 Hollywood Boulevard in Barnsdall Park; and the C.O.L.A. performance and literary showcase will occur at Grand Performances at California Plaza in downtown LA. The C.O.L.A. 2018 catalog will be designed and published by Susan Silton, a former C.O.L.A. awardee. As a leading, progressive arts and cultural agency, DCA empowers Los Angeles’s vibrant communities by supporting and providing access to quality visual, literary, musical, performing, and educational arts programming; managing vital cultural centers; preserving historic sites; creating public art; and funding services provided by arts organizations and individual artists. DCA advances the social and economic impact of arts and culture through grant-making, public art, community arts, and strategic marketing and development. DCA creates and supports arts programming, maximizing relationships with other city agencies, artists, and arts and cultural nonprofit organizations to provide excellent service in neighborhoods throughout Los Angeles. at facebook.com/culturela; Instagram @culture_la; and Twitter @culture_la. 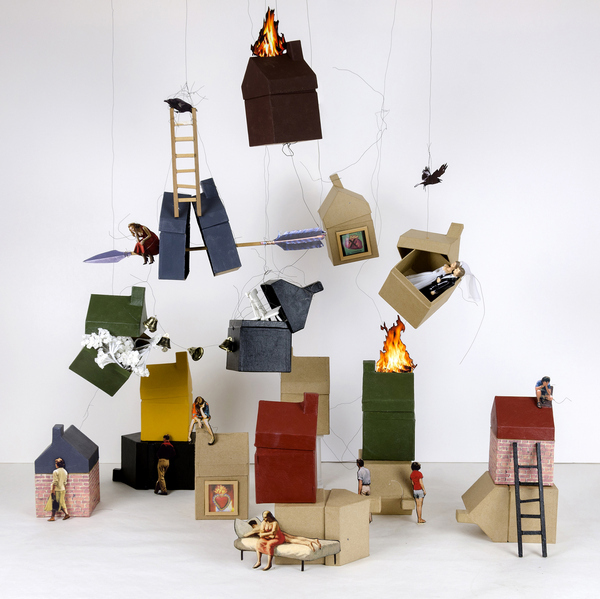 The reception is from 2PM–5PM on Sunday, April 29th at the Municipal Art Gallery in Barnsdall Park.